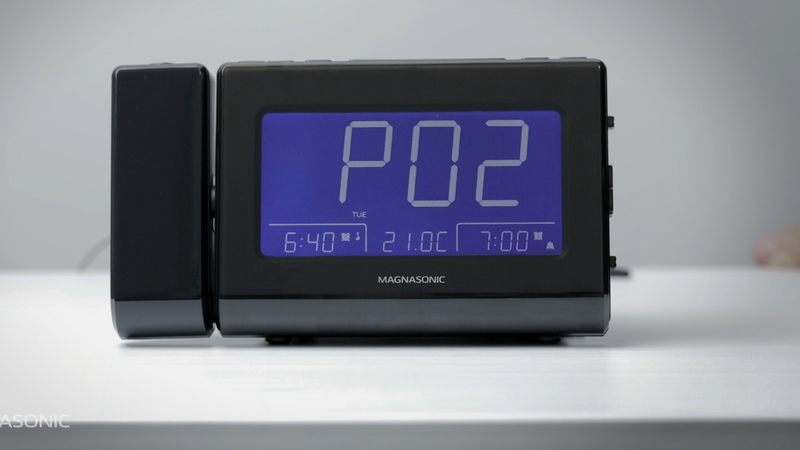 Your Magnasonic Alarm Clock Radio can save up to 10 different AM and 10 Different FM stations as presets, so you can listen to the music you want, when you want. Use the left and right arrow buttons to select which of the 10 presets you want to save the station as. Press the SET Button to save your selection. The preset number will flash twice. Repeat these steps for any other stations To use these presets, press the PRESETS button to scroll through the 10 preset stations.